Being able to enjoy your favorite music in your car is pretty neat. However, most cars come with stock speakers that don’t really sound that good. Luckily, there are great speakers you can get and easily upgrade your listening experience. With so many different models on the market, finding the right one isn’t really that easy. That’s why we’ve decided to make a simple and straightforward buying guide, as well as review some of the best 6.5” speakers we could find. So, sit back, relax, and enjoy the ride! As with any kind of electronic device you plan on buying, you should at have at least a rough idea of what you’re looking for. Different brands and models offer various different features. Which are the most important ones you should look for? First of all, you should decide which type of speakers you’re looking for. Generally speaking, car speakers can be divided into 2 main categories: Full Range and Component. Full Range Speakers: full range speakers offer all of the speaker elements you may need inside one device. You’re looking at a woofer for the lower end of the frequency range and a couple of tweeters, for the highs, all packed inside 1 device. Some full range speakers can feature additional mid-range or super-tweeter drivers, in order to cover as broad of a range possible. Component Speakers: component speakers, on the other hand, are made up of separate devices, each covering a different part of the frequency range. The fact that you can place different components in different places makes them really convenient and more practical when compared to the full range ones. As with any piece of audio equipment, you’re looking for a certain frequency range that the device itself covers. Woofers and subwoofers cover the low end, or the bass. Tweeters are used for the high end, or the treble. Basically, different models offer different specifications in terms of the actual range they cover. So, if you want a really deep bass, you need to look for speakers that go pretty low when looking at this spec. Most speakers cover a pretty wide frequency range, but various models may differ in terms of the actual width of the range. If you’re not looking for anything extreme, going with most models on the market is going to be a good idea. Power handling is a specification that’s not complicated to understand at all. The main objective here is to pair your actual sound system and the speakers you plan on buying in terms of the power that’s used to drive them. So, if you have a low-powered system, you’re only wasting money if you get a speaker that can handle high power levels. On the other hand, if you already have a pretty powerful audio system installed, you need to look for speakers that can handle that amount of power. The bottom line is, pair your new speakers with your audio system by looking at the RMS power rating, and not the peak power rating! Power handling is important, and so is impedance! Impedance tells you how much resistance the current that’s going to the speakers meets. The lower the impedance, the more power actually gets to the speaker. Without getting into too much detail, let’s just say you can follow this rule when it comes to speaker sensitivity: If you have a low power system (<15W RMS), you’re looking for a sensitivity level of around 90dB. On the other hand, high power systems (>16W RMS), go for speakers with a lower sensitivity rating. 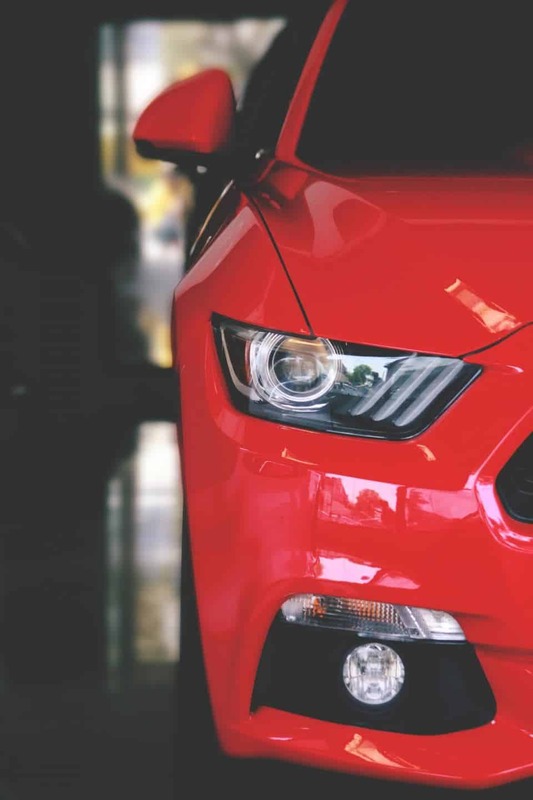 While the actual installation process will differ when it comes to different models of both speakers and cars, there are still a couple of tips that will give you a good idea of what to expect. Tools: Make sure you’ve got all of the right tools. This means a good knife, a drill and the needed bits, heat gun, pliers, heat shrink tubing, electrical tape, as well as a soldering iron. Be 100% Sure Of Size: Before actually buying a speaker, you should already be absolutely sure that it will fit your car. You can check this in the manual you got with your car, and some speaker brands even offer this information on their website. Room The Existing Speaker: Carefully remove the existing speaker and grille. Depending on the model of your car, this can be pretty easy or really hard. Consult the manual for the specifics. Save All The Parts: Save the original speaker as you never know when you’re going to need it again. Watch The Connections: Be extra careful not to snap the connections. This will make installing the new speaker much easier, and you will be sure that the polarities won’t be reversed. Modify If Necessary: In some cases, you may have to modify the interior panel of the door/back. This is why actually checking if the speaker fits is important. If you’re not sure you’re up to the task, it’s better to have someone do it for you than to ruin your car’s interior. Check Before You Mount: Check whether the speakers are working before finally mounting them. Double-check all the connections and the quality of the sound. This will save you from having to uninstall the speaker again in order to be able to diagnose the problem. No matter how good speakers you may buy in the end, they don’t mean anything if they’re not properly set up. The task of installing new speakers in your car isn’t that hard. Just follow these steps, the car manual, as well as the paperwork you get with the speaker itself, and go slowly, step by step! If you’re looking for a pair of inexpensive 6.5” car speakers that are easy to install, and offer an improvement in your music listening experience, look no further than the CS65CXS by Crunch. Rated at 150W per pair (RMS), it’s clear that these speakers can pack quite the punch. The sensitivity is 89dB, meaning you can easily pair them up with a pretty strong amp and get great results. This model may cost less than $20, but the materials used are pretty solid. The tweeter utilizes Neo-Mylar for the tweeter elements, meaning they are much more resistant to moisture, vibrations, and other factors. 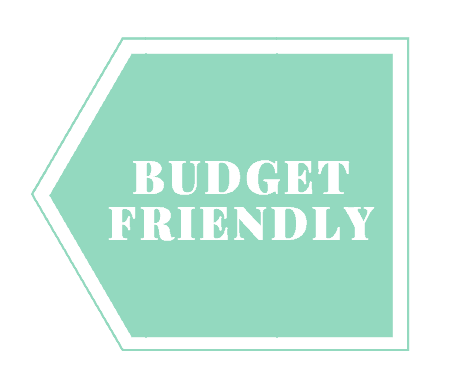 A decent option if you have a really limited budget. The steel basket not only protects the speakers but cancels out most of the unwanted resonance, resulting in a clear sound. Sound-wise, the highs are crisp, and the bass is decent. There is definitely more of a mid-bass than the lows, but overall, the performance is pretty good. Bottom Line: The CS65CXS by Crunch are the best budget-friendly 6.5” car speakers you can get and notice an improvement when compared to most stock car speakers. At number 2, we have a pair of great speakers coming from a pretty well-known brand, Boss Audio. The CH6530s offer a noticeably better listening experience for only around $20 for a pair. The first thing you’ll probably notice is the sleek combination of red and black. The attractive design may not be important for everyone, but is definitely a bonus for people who like to show off their gear. Covering an amazingly wide frequency range spanning from 100Hz to 18kHz, it’s clear that this model focuses heavily on the low end. Quality degrades at a higher level. You’re getting a tweeter and dome midrange per speaker, that are capable of accurately reproducing audio. 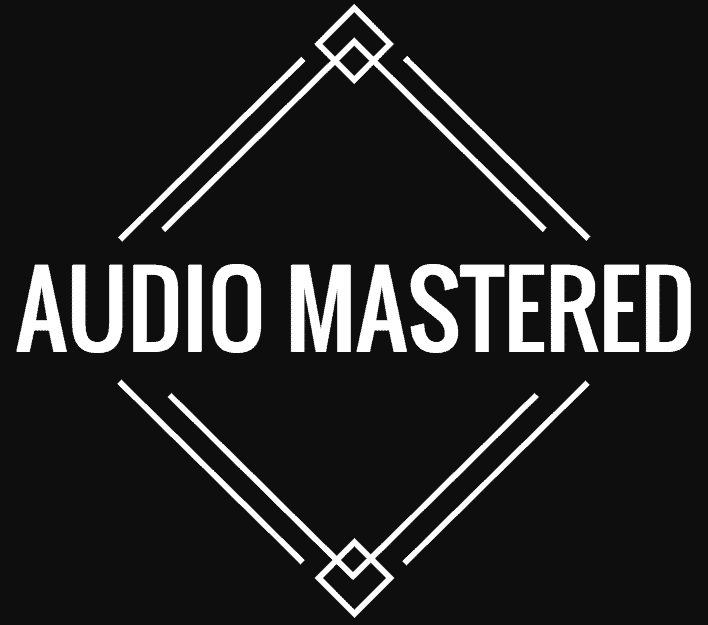 However, at higher volume levels, audio quality degradation is noticeable. Boss Audio used a special type of rubber in order to make sure that these speakers easily withstand any flexing, change in temperature, abrasion, or any other type of wear and tear. Bottom Line: All things considered, the Boss Audio CH6530s are a great option for someone looking for an inexpensive yet effective upgrade. 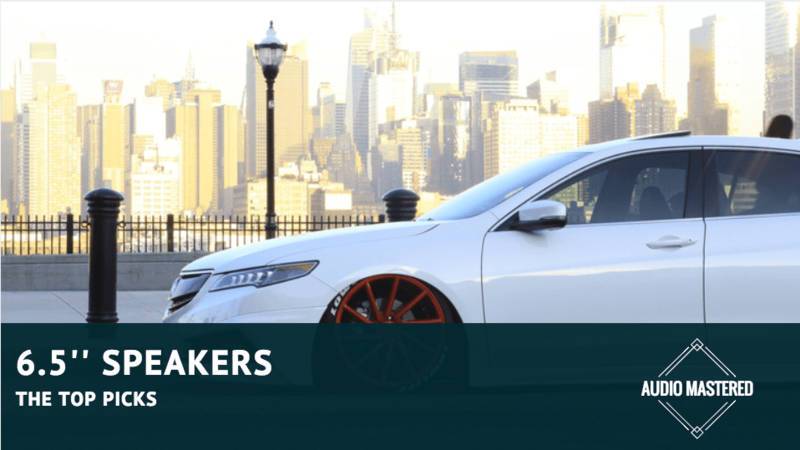 Kenwood is known for making some of the best car speakers on the market. Their KFC-1665S speakers make for a budget-friendly option that brings music listening experience to a much higher level than you regular stock speakers do. Sporting a pretty minimalistic design, these puppies may trick you into thinking that they’re just another pair of boring speakers. However, Kenwood has put a lot of effort into them. The steel mesh on the top not only blocks objects from falling on the speakers but acts as a noise-canceling component as well, minimizing the levels of unwanted vibrations. Decent volume level for larger cars or SUVs. With 30 Watts RMS, you can achieve pretty high volume levels, even in SUVs or similar, large cars. You’d usually expect a mediocre performance from most 2-way speakers. But, the KFC-1665S model delivers audio with more fidelity than most others. The bass goes pretty deep, and the highs rarely break up. 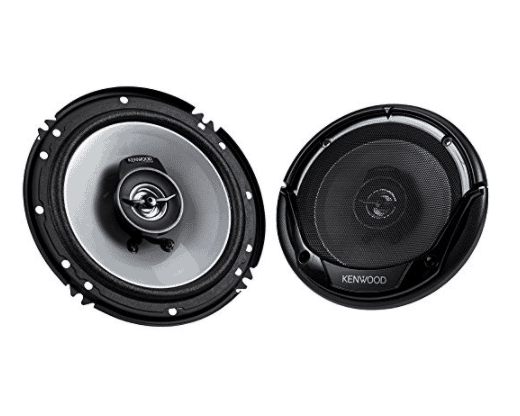 Bottom Line: ​If you’re looking to upgrade your car speakers, but don’t want to spend a lot of money, the Kenwood KFC-1665S are a great option worth considering. 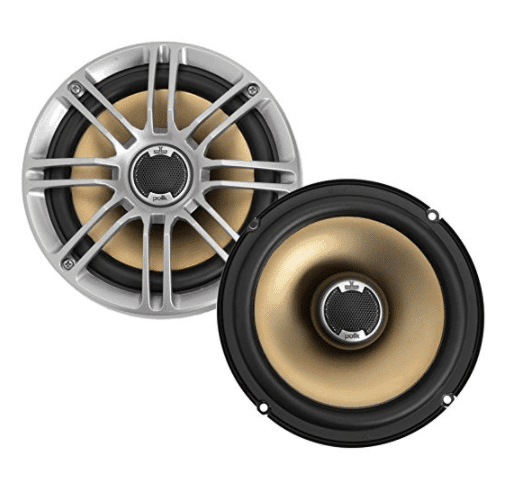 As this model is coming from Rockford Fosgate, you can definitely expect high-quality audio performance as well as a pretty solid build quality. For just under $40, a pair of these bad boys will give you a noticeably improved music listening experience in your car. With only high-quality materials used for this model, you can be sure that these speakers will last you a long time and are safely protected by the steel mesh on the front. Given the fact that these are full-range speakers, they can’t really be compared to component systems, but in their category, are definitely one of the best ones you can get. The R165X3s offer 45 Watts RMS, and a frequency response range of 52Hz to 20kHz. A combination of a 6.5” midrange driver and 0.5” tweeter allow for a clear and natural sounding audio reproduction. Boasting a 5dB tweeter high-pass crossover, these speakers make sure that the audio quality is consistent at all times. The 4- Ohm impedance is relatively low, so you can easily add extra amps for an upgraded experience. Bottom Line: All things considered, these speakers are a good budget-friendly way of improving the sound quality in your car. Unless you’ve been living under a rock, you’ve heard of Pioneer. As one of the leading brands of car audio equipment, they have a wide range of different models to choose from. But how do the TS-A1676R speakers compare to the competition? Once again, we’re looking at a pair of full- range speakers. The TS-A1676Rs are what is known as 3-way speakers, meaning you have 3 actual drivers. Pioneer utilizes a new type of cone structure that’s meant to deliver a much wider sound dispersion, especially when talking about the low end. When compared with the previously mentioned model, the difference in the presence of bass is obvious. Amazing sound dispersion with these ones. This model also uses heat-resistant voice coil wires in order to withstand much higher input power levels than most other models you can find. As they’re rated at 50 Watts RMS, you can definitely get a loud listening experience from them. The wider frequency response range of 30Hz to 30kHz shows on paper that the TS-A1676 offers a nice kick on both sides of the spectrum. Bottom Line: ​For around $40, you’ll be getting a pair of good-looking, bass-rich speakers with a guarantee of quality given the fact that they’re made by Pioneer. At number 6 we have another model coming from Kenwood. Their KFC-1695PS 3-way speakers are known for their amazingly crisp highs and overall satisfying performance. Unlike the KFC-1665S we’ve previously mentioned, this model is guaranteed to give you a noticeable improvement when it comes to the listening experience. Kenwood utilizes Acoustic Sound Harmonizer technology in order to boost the response in the 3000 to 4000 Hz range. This truly gives you massive mids and highs, with all of the instruments and vocals in this frequency range having much more definition. A great option to be paired with a subwoofer. These speakers run at 75 Watts RMS, and an impedance of 4 Ohms, so pairing them up with your amp shouldn’t be a problem in most cases. The bass is pretty good, but when compared to the mids and highs, could definitely use more of a boost. Bottom Line: If you’re looking for Kenwood quality but need more of a noticeable sound improvement, definitely check these out. Polk Audio, while not that famous as Kenwood or Pioneer, definitely knows how to make a pair of good speakers. Their DB651s offer an upgrade for your car at a decent price point. If you’re not really up to spending more money on component speakers, but want a solid music listening experience in your car, the DB651s are worth considering. Focusing on build quality as well as high-fidelity audio, Polk Audio used only high-quality materials for this model. These speakers are lightweight yet stiff enough, making for very present and distortion-free audio. Needs a bit more low-end response. For most users, easy installation is as important as the overall experience. The DB651s area installed in no time due to the multi-hole mounting brackets. The RMS power rating for these bad boys is 60 Watts, with a frequency response range from 35Hz to 22 kHz. The lows are, once again, solid, but it’s the mids and highs that truly make for a great sound. Bottom Line: ​If you’re not specifically looking for a strong low end, and value good build quality, definitely consider getting the DB651s by Polk Audio. No good car audio equipment review would be complete without at least one model coming from JBL. The GTO609C component speakers bring all the advantages of this type of speakers while maintaining a reasonable price. 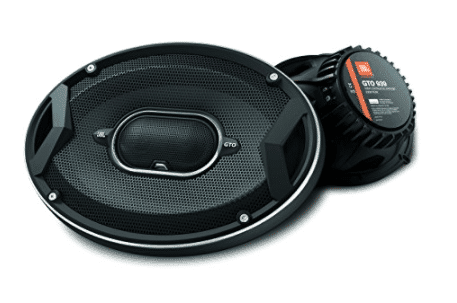 JBL products are known for their high quality, and the GTO609Cs are no exception. The fact that this model uses carbon-injected materials means that these speakers are very lightweight but stiff at the same time. You can count on these speakers to withstand the everyday stress and last a pretty long time. The speaker for someone looking for extra durability. You’re basically getting 2 tweeters and 2 crossover speakers. Covering a range of 67 to 21kHz, you should be covered in most cases. While the lack of bass is definitely noticeable, adding a subwoofer makes for an overall excellent listening experience. As these bad boys work at around 90W RMS, you can really get a lot of sound from them. The amount of detail and fidelity is well above most other models in this price range. Bottom Line: When it comes to budget JBL speakers, the GTO609Cs offer good quality for the money. If you’re a fan of JBL products, but just need more from the low end, the GTO638 has got you covered. Although these are full-range 3-way speakers and not component, they still pack quite a punch. The fact that JBL utilizes a built-in crossover network ensures that the transition between the woofer and tweeter is practically seamless. This means that the midrange sounds natural and very clear. Although pretty small, the tweeter is capable of delivering amazing highs, due to the relatively large voice coil. As the GTO638s can handle anything up to 60 Wats and 2 ohms, you can really go loud while still having a consistent and crisp performance. 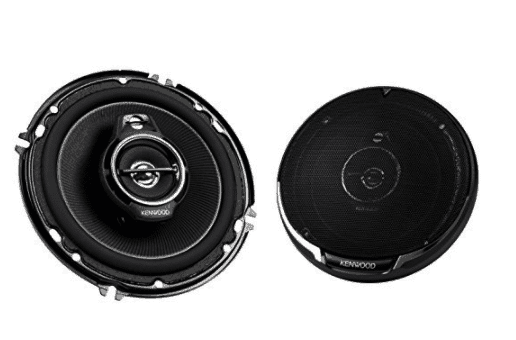 Like we already stated, when compared to the GTO609Cs, the amount of bass you’re getting is much bigger. Though there definitely are some other models that offer more, the overall performance of this pair of speakers makes them a good investment nonetheless. Bottom Line: ​​All things said, if you’re looking for an overall improvement and a bit more bass, definitely consider getting the GTO609Cs. And finally, at number 10, we have a pair of great looking and even better sounding full-range speakers from Infinity Kappa. The 62.11I model is different from the rest of the models in the Infinity series because it offers much more on the low end. 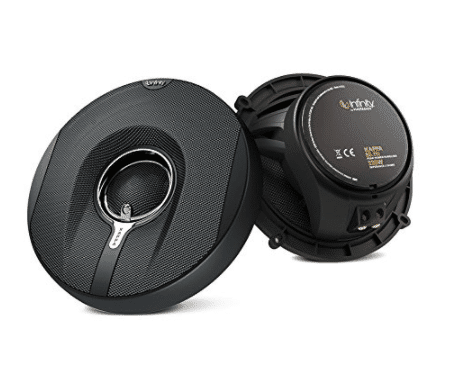 The glass-fiber woofer cone is at the same time amazingly lightweight and durable, and the rubber outer ring makes for a tight fit and great seal. Although looking pretty small, the 1” tweeters are not to be messed around with. They can handle power much better and add almost no distortion to the highs, which is something you can rarely say for speakers in general. One of the best sets of speakers on the market. While you’re installing the speakers themselves, you can easily orient the tweeters any way you find to yield the best results. The low end offers good definition and presence, and the midrange is warm and round. Bottom Line: All things considered, the Infinity Kappa 62.11I speakers are one of the best full-range speakers you could get for under $100.